Welcome To Your Senses: Ambi-Shun !! "What is your ambition in life ?" How many times were you asked this question, when you were a Kid ? Well, I dont know your life, but my life had a huge array of such questions. And am Still not able to answer it. My inference proves, that Ambition is a temporary word, whose value keeps changing periodically and is never even closer to reality. But many would say, it is not Ambition.. it is dream. Ambition is something you constantly work upon. heh !! Then its all just words. I wanted to become a Pilot. I wanted to be a IIT student. I wanted to be an Astronaut. I wanted to be a computer engineer like Arvindswamy, and fight against Pakistanis. (Not terrorists at that time). So much of day-dreams. It is just maturity that tells you, "A*******, you cant be a pilot with that weight.. "... "IIT ? with that figure in Chemistry mark sheet ? you should be kidding.."
Short term objectives is not something that we leave inside the planning room. I guess, we can bring it home and take it to bed. We can set it in our personal life.. I know, planning and life are two extreme words. Yet, Im going to give it a try. Im not a serious guy, who will set objectives like "Learn french..".."memorize Purusha Suktam in 5 days".. "become a Team Lead in 6 months.. " "loose 10lb in 10 days" nah nah nah..
Me and Prabu Karthik have got into this plan. "I love Madras". A small still-photography documentation. About Chennai, the everything of it. The Rosham that came after reading the Shobha Warriors post on Chennai. This is the short term objective. Hope it comes out good. 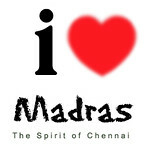 Any creative ideas for "I Love Madras" are welcome. "A small still-photography documentation." well er, shouldn't that be "A small still-photography documentary"?. keerthi, we r doing it mate. keerthivasan, that was not me. Special mention should be made of the ubiquitous tea-kadai. which is kind of unique to Chennai. While other cities do have tea-shops, they are not quite like our tea-kadais, are they? They are the best movie-review halls, teansion relieving centers, gossip-mongering stations and what not??? anand ? who are you ? i got your IP and details buddy :) Nyways thanks for the info. pk, i still think it is not a documentary. It is a documentation. We will do it. anand, Yes Sir. I know you :) I found who the other Anand was..
Nice Nice, that will be a nice piece of work if you can cover Chennai.!! How about a video coverage as well.!! And about ambitions, you are on target.!! Looking back, Many of my ambitions have vanished in thin air. My latest ambition is to bring Tamil Standup Comedy to the Bay area.!! Will I succeed..Only time will tell.!! video coverage equipments illa sir. If the still one is happy enough, then we can think about the motion. Comedy is a integrated component in you. I've heard that in your Audio posts.. you will definitely succeed. Good luck !